Call 1-800-932-2216 To Speak To Our Team! Water softeners are devices that remove hard minerals through a technique called ion exchange, where a small amount of sodium replaces the hard minerals in the water. The small amount of sodium left over is simply flushed out when you run your water. The results of hard water are: limescale build-up on plumbing fixtures, staining of sinks & tubs, lack of soap suds, and dingy laundry. Hard water can also reduce the efficiency and lifespan of water heaters, boilers, cooling towers and other water-related equipment. We are proud to offer top-of-the-line water softeners at affordable prices. Our team of water treatment experts is friendly, knowledgeable, and professional. We work hard to make sure that all your questions are ensured and water problems are solved. See below for more information on our water softener systems. 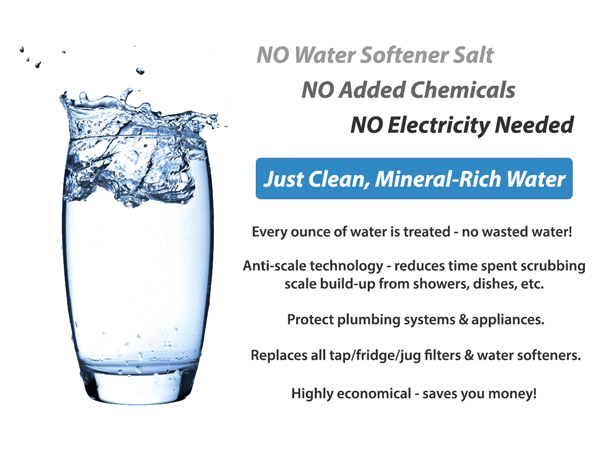 Our Saltless Water Softener gives you softer water using no salt, no added chemicals, not even electricity! 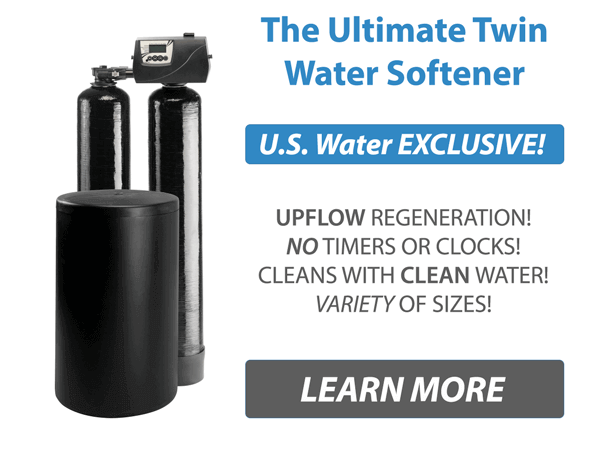 The Ultimate Twin Water Softener is our best-selling unit and features self-regeneration with no downtime and this unit self-cleans itself using only clean water. We guarantee you’ll be pleased with our water softeners and their ability to get you safe, drinkable, and usable water. We exclusively use ProSoft water softener salt as well as provide water softener salt delivery service. A U.S. Water, LLC Exclusive!